A big struggle for many of us is how to design rooms with their own flavor while making sure each room fits the overall style of our home. 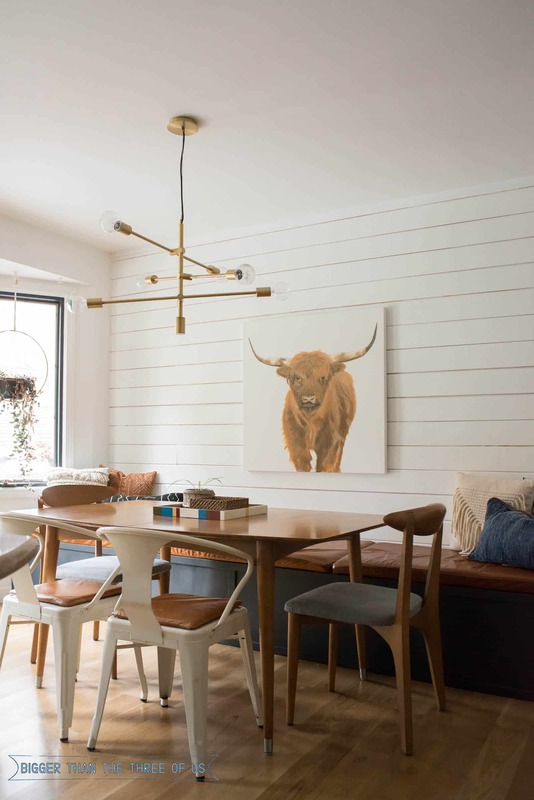 Small pieces can help with Creating Consistency Throughout Your Home but how much should you really pay attention to these pieces (upgrades)? If you pay too much attention to it then you end up with a matchy-matchy house and one that lacks character or interest. Not enough consistency and you end up with a different feeling in each room and it feels hodgepodge. It can be tough, but today, I’m helping you with some actionable ideas and things that you can do going forward. Throughout today’s podcast we take a deep dive into how and what makes sense for creating a home palette that feels consistent. Should you completely design for yourself or should you be thinking about resale? If you are too consistent with your palette, could that be boring? When you are renovating room-by-room over time, how do you keep the consistency throughout each space? These are just some of the things we chat about. 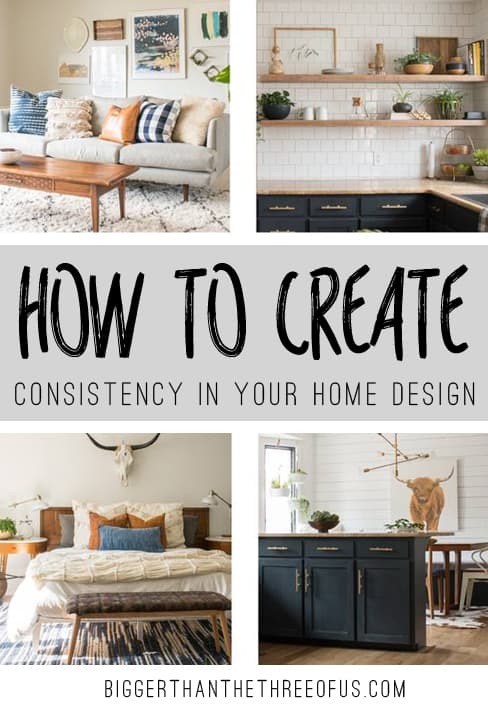 Listen in to the nitty gritty talk about how I firmly believe baseboards can help you stay consistent and be a HUGE improvement in your home, how doorknobs have played a factor in both Suzannah’s house and my house, how paint colors (including paint sheen) can help, how setting a defining texture can be super helpful and more! I chat specifically on how I use leather in my home decor to create a cohesive look and my trick to help with mixing metals. And, if you loved this episode but haven’t tuned in to other episodes, check out my podcast page for a listing of all our episodes to date!